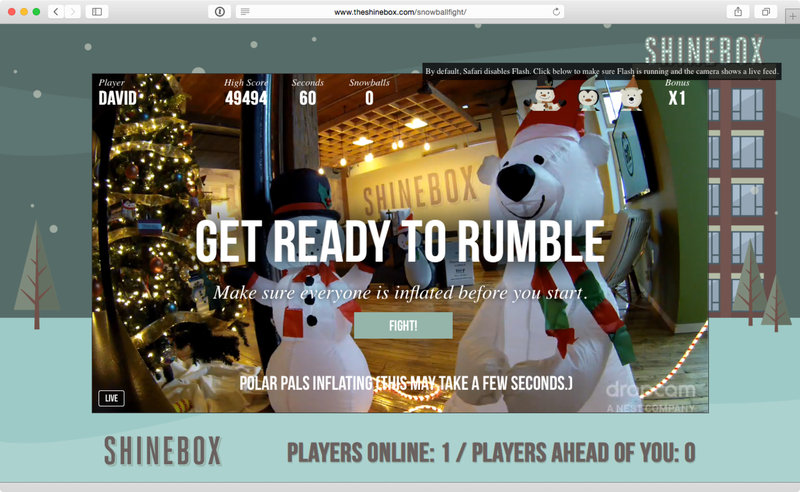 I’ve spent the past few weeks developing a pretty cool game for The Shinebox holiday celebrations. It combines the power of SmartThings, a Dropcam and some hastily written PHP and jQuery to produce a live, interactive, virtual snowball slinging extravaganza. Read more about it on our blog. Oh, and the good folks at SmartThings were cool enough to promote the game calling it, “one of the coolest and most fun uses of SmartThings we’ve seen to date”.